Continental ContiEcoContact™5 SUV is the choice for the sake of safety and the environment. Continental ContiEcoContact™5 SUV is the choice for the sake of safety and the environment. 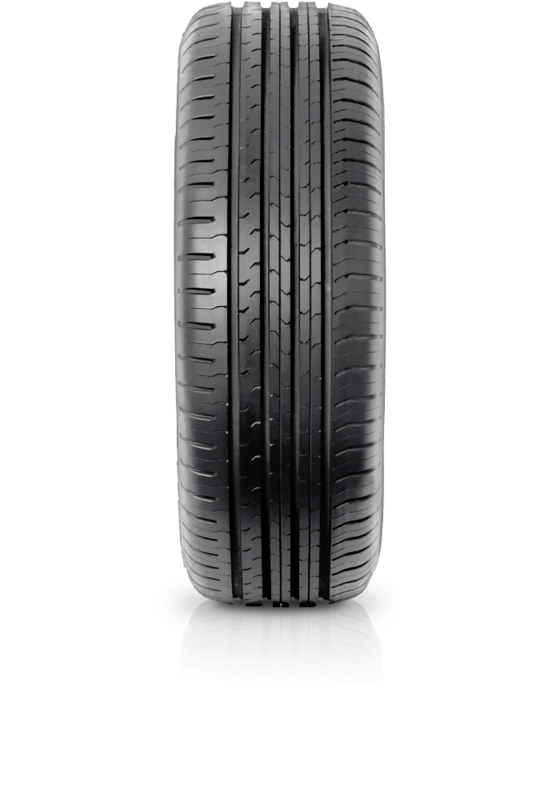 The sum total of the improvements in this tyre's development helps it to achieve a considerably better overall performance with even more balanced driving characteristics. This means that the conflict between rolling resistance and handling can be influenced via the design, whilst the tyre compound can assist in the problem area of low rolling resistance and short braking distances in the wet; changing the tyre contour allows mileage performance to be enhanced, and the tread pattern can have a positive effect on braking characteristics in the wet.